Your teeth are designed to last for a lifetime with the right care. Unfortunately, that is not a reality for many adults. In fact, it is estimated 35 million Americans do not have any remaining natural teeth. If you have found yourself among those who live with tooth loss, you have likely tried dentures. While you had high hopes, they never felt natural. You are not out of options. With dental implants in Palm Bay, your dentures will be secured to your jawbone. You will enjoy the next best thing to your natural teeth. A traditional denture uses suction or an adhesive to hold it in place. Although this provides an affordable and effective solution, there are several disadvantages. You will never regain your complete biting force, limiting the foods you can eat. It is not uncommon to deal with slipping and irritation, which can require several adjustments to correct. Not to mention, they will not stop your jawbone from deteriorating. You can resolve these complications with implant-retained dentures. By surgically placing an average of 4 implant posts into your jawbone, they secure your denture in place. You will never need to worry about any slipping or irritation again. You will speak, chew, and smile with confidence. Potential to last for decades. No need for adjustments or to have them replaced. Increased biting force of over 70%. In most cases, if you have good oral and general health, you are a candidate for the procedure, but your dentist in Palm Bay will need to conduct a thorough consultation. In addition to your oral health, your medical and lifestyle history will be discussed. Diagnostic images are also taken to assess the health of your jawbone. Based on this information, you may need additional procedures before you can have your implant posts placed, such as tooth extractions, bone grafting, or a sinus lift. 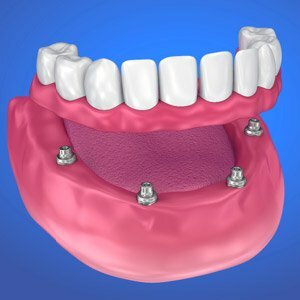 After the foundation for your new smile has been created, you will be scheduled for the placement of your implant posts. This will involve a surgical procedure that is performed under anesthesia or sedation. After opening your gum tissue, small holes are drilled into your jawbone to insert the posts. 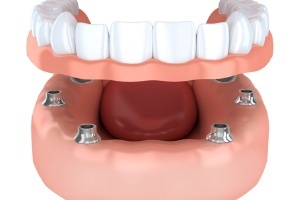 Abutments are attached to the posts, which allow your denture to be connected. Using digital impressions of your mouth, your denture is designed to meet your exact needs for aesthetics and function. If traditional dentures in Palm Bay did not give you the results you wanted, it is time to benefit from an alternative solution. 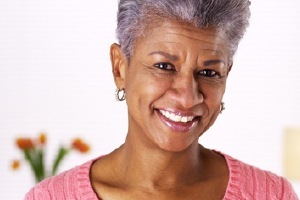 Contact our office today to see if implant-retained dentures are right for you.